Today I am participating in Living with Lindsey's $5 challenge! The premise is simple. Go to your local dollar store and with a $5 budget come up with a fun home decor project for spring. 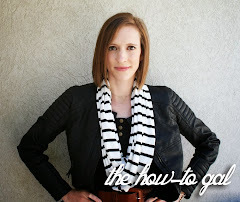 Let me take you through my thrifty creative process! I took a trip to the Dollar Tree and browsed and browsed and browsed until I finally had an idea. 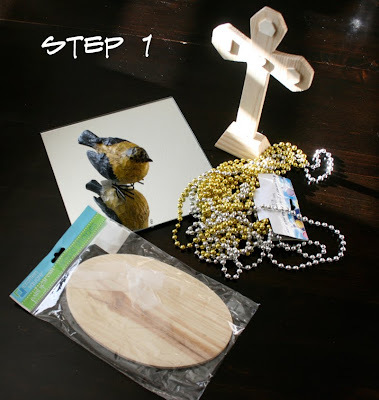 I checked out with the above items: mardi gras beads, a wood oval, a wood cross, a mirror and a plastic bird. Can you guess what I made? Total $5 +tax. Next I spray painted everything with a light blue spray paint I had sitting in the garage. 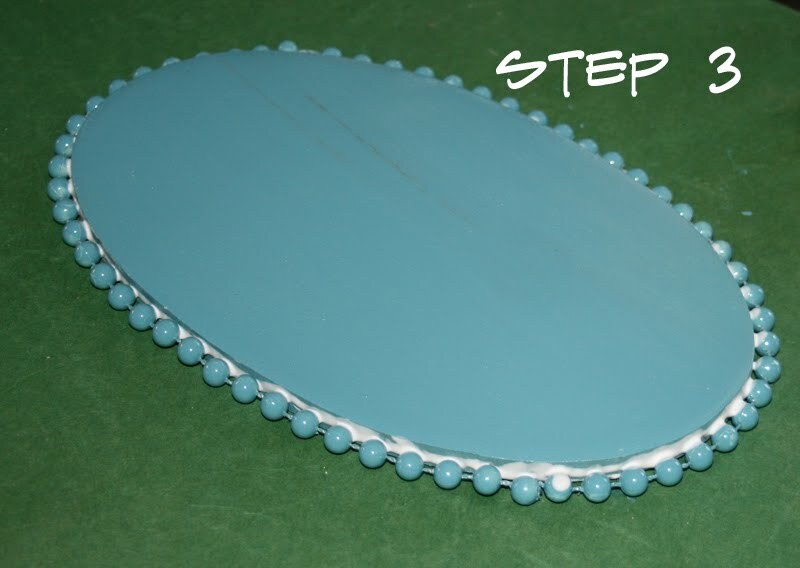 I cut the mardi gras beads to size and glued around the oval and the edge of the mirror. Glued everything together. Cross onto base and mirror. Used gorilla glue for the first time! Glued my little birdy friend on the base and voila! 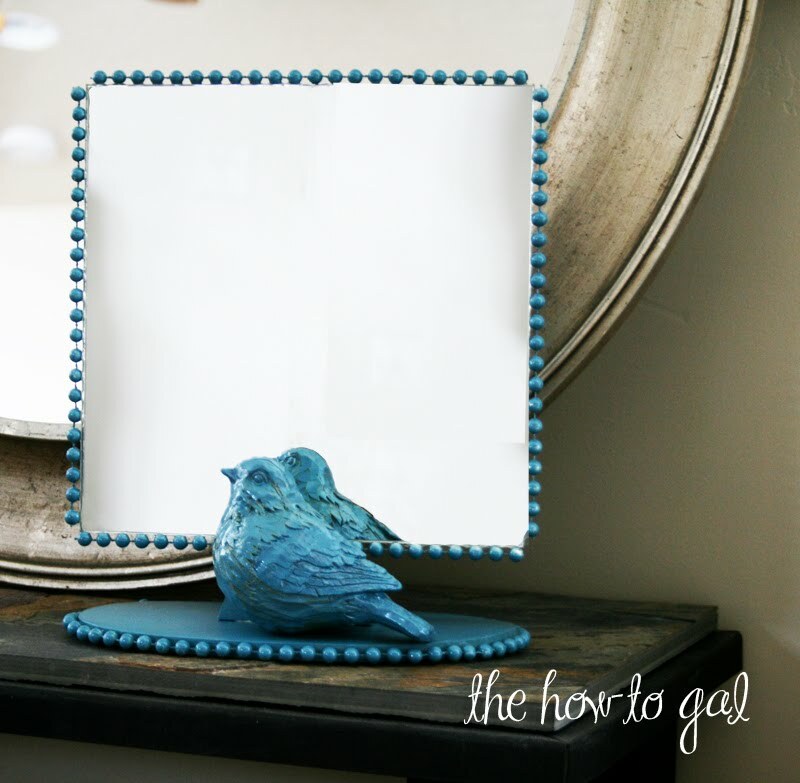 A beautiful, freestanding mirror that makes it feel like springtime! Holey Moses! I never would have thought of that! Turned out great! 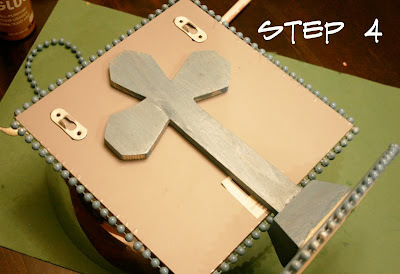 Very cute - I had to look a couple of times to see what happened to the cross. I like the reflecting birdie. What a sweet project. You are one clever and crafty girl. Have a happy spring! What a great idea! Had no idea where you were going with this in the beginning, but it's so obvious now! This is lovely! I never would have guessed what you were making at the beginning, but it turned out lovely!! WOW! Love the COLOR! I would have never thought of that eather! Thats soo chic and cute! Happpy Springtime! Totally great idea! Love the fun things that you come up with. I've just started crafting again after a long bout of illness. 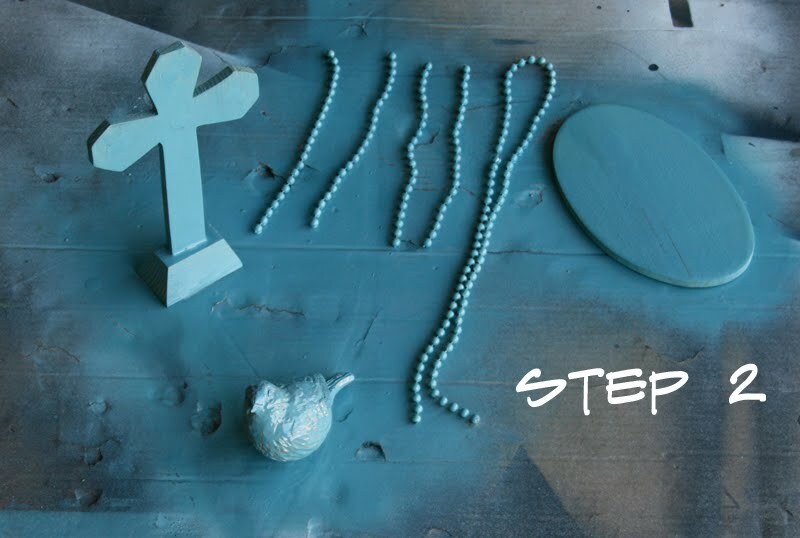 Not sure how long I'll be crafting this time...but I know where to look for inspiration. Thanks for always having such inventive ideas! The dollar store does have awesome finds.